Photo courtesy Digital Cinema Destinations, Corp. Formerly Cranford Theatre, Digiplex Cranford. Purchased by Carmike Cinemas in 2014 and renamed to the Carmike Cranford 5. 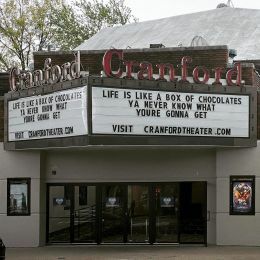 It transferred ownership to New Vision Theatres in 2017 and was renamed to the Cranford Theatre. This movie theater is near Cranford, Garwood, Kenilworth, Roselle Park, Clark, Westfield, Roselle, Winfield Park, Linden, Mountainside, Union.